Achieve significant adoption of paperless processes with minimal effort from your customer and the least amount of cost and time from your business. Introduce your customers to digital communications using our electronic consent solution, which provides an easy-to-understand demonstration of what they will experience when they turn off paper. Saying yes to going paperless only takes one click. A record of the consent is made available to your internal systems. 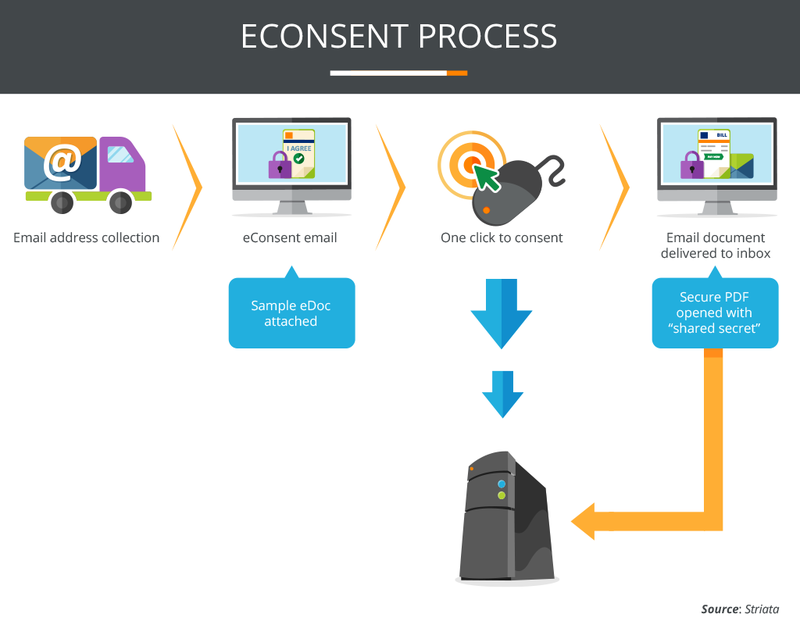 Our eConsent process requires minimal effort from your business or customer – just one click. Use customization to give your recipients confidence that the communication you are sending is legitimate and they can respond. Get the reporting you require to record the given consent in your customer information systems. Discover how you can switch customers to electronic documents and drive paper turn-off with Striata eConsent - a simple, registration-free, process.